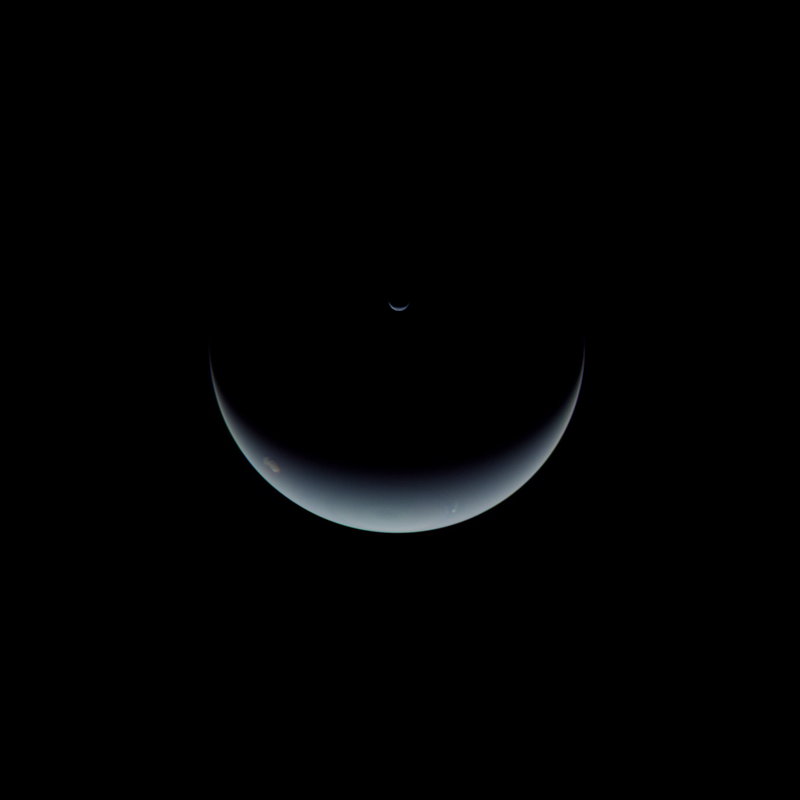 Voyager 2 captured this view of Neptune and Triton as it departed the Neptune system. 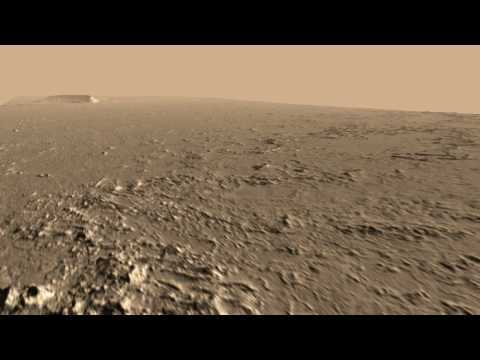 This image was taken around 735 UT on August 31, 1989. 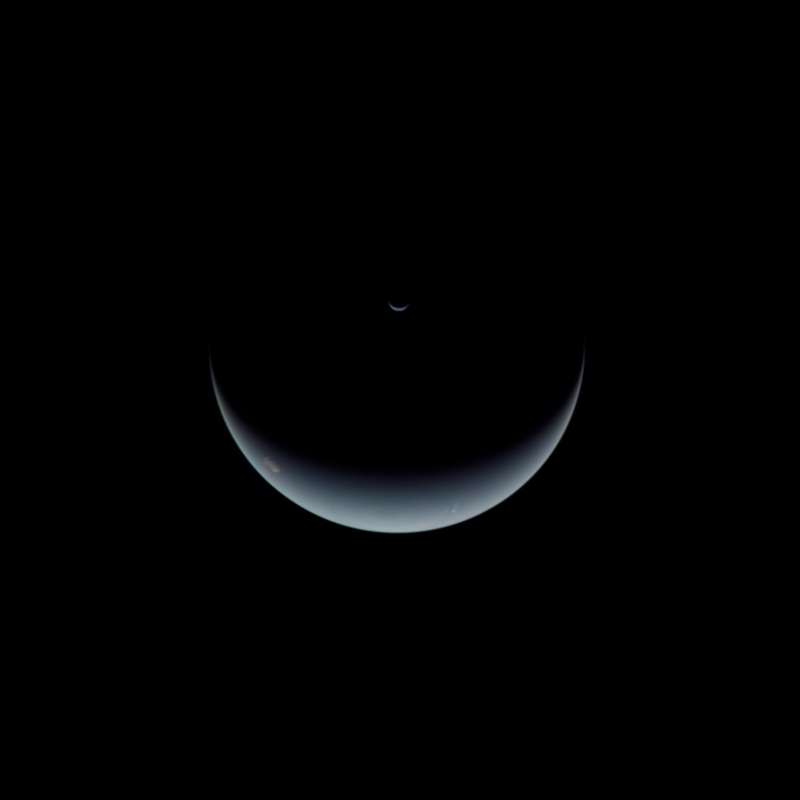 This OGV color image exhibits small amounts of chromatic aberration around the horns of the crescent Neptune due to smearing of the images during the long exposures necessary to image Neptune in the low lighting of the outer Solar System.